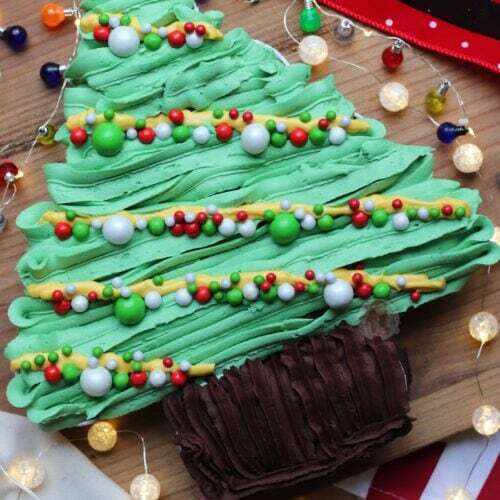 Chocolate & Vanilla Tear & Share Cupcakes in the shape of a Christmas Tree… Christmas Tree Cupcakes! Yummy Chocolate Cupcakes, with Vanilla & Chocolate Buttercream frosting, with gorgeous Christmas Sprinkles, and a white chocolate tinsel! Honestly, these sound so fancy, but looking at the images, they are basically just a giant cupcake Christmas tree! This is one of those recipes that you’re either going to utterly adore making, or you are going to hate me. Either way, it looks fabulous and that’s what you should stick with. It’s a bit of a weird one if you aren’t so used to making the Tear & Share style cupcakes, or ‘Pull-Away’ as they’re sometimes known. I definitely think there are so many designs out there that you can try once you get the hang of it all, but get one down and you’ll be ready. 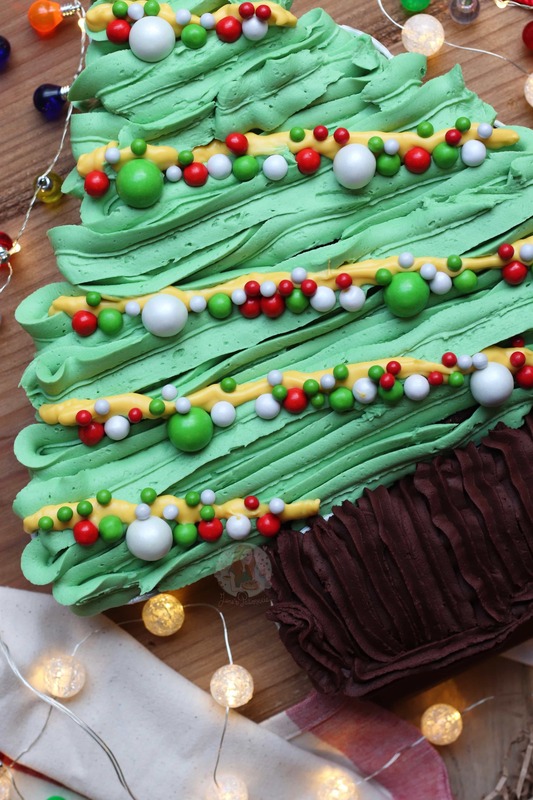 I obviously went for a Christmas Tree as it’s well and truly the festive season now, and who doesn’t love a festively themed bake?! Honestly, I don’t think I know anyone who doesn’t. Well, only people who don’t like Christmas and they’re all basically the Grinch. (By the way, saw the new Grinch film and loved it, so nothing against the Grinch!). The best food colouring that I can recommend for something like is Sugarflair Holly Green or Progel Leaf Green! I’ve had messages from people in the past who have tried other colourings such as supermarket own, and have complained that the mixture has split, or it tastes funny, or the colour just isn’t what they wanted, and that’s because the colouring isn’t good. I will always stand by colourings such as Sugarflair Holly Green or Progel Leaf Green! I realise its a bit of effort to buy colourings online, or in the stores such as Hobbycraft but they are so worth it. Also, they don’t end up that much more expensive at all. You use such a small amount in comparison to an entire bottle sometimes of the cheap stuff, but it lasts SO much longer after your investment. So yeah, seriously recommend the investment. Anyway, back to Christmas Trees… there are so many ways you can do something like this. I went for a standard 12 cupcake recipe so that it’s much more straightforward, and you all know how to crack a cupcake already. It’s more just the decoration bit. The only way to make the cupcakes to stick together is to slather the buttercream all over, and essentially glue them that way. It’s a bit awkward as you have to mush the buttercream down, but if you pipe it on as I have done, it’s easy! 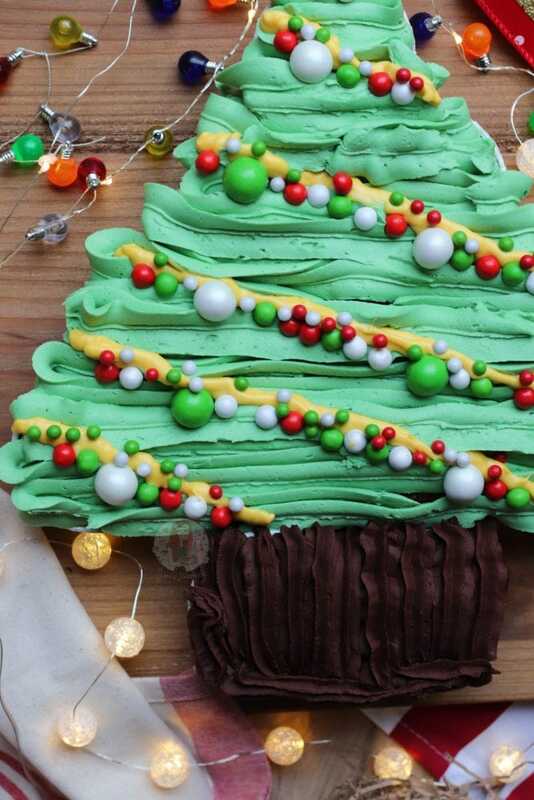 I used a Medium Leaf Piping Tip to do the tree part, and just snaked it down (if that makes sense) in long rows of buttercream to get the tree styling. You can just use any piping tip you want, but I really like the Leaf Piping Tip. It’s a handy piping tip to have around Christmas Time as I use it quite often. For example, I used it for the Holly Leaf on my Christmas Yule Log! The flavouring for these cupcakes I decided to keep quite simple, as it is more about decoration, but you can easily add in so many other flavours. Honestly, the choices are pretty much endless, but chocolate for the actual trunk part of the Tree is the easiest. I used the Gorgeous Christmas Cupcake Cases from Iced Jems for the cases, to stick with the festive theme, and they are just so festively perfect! 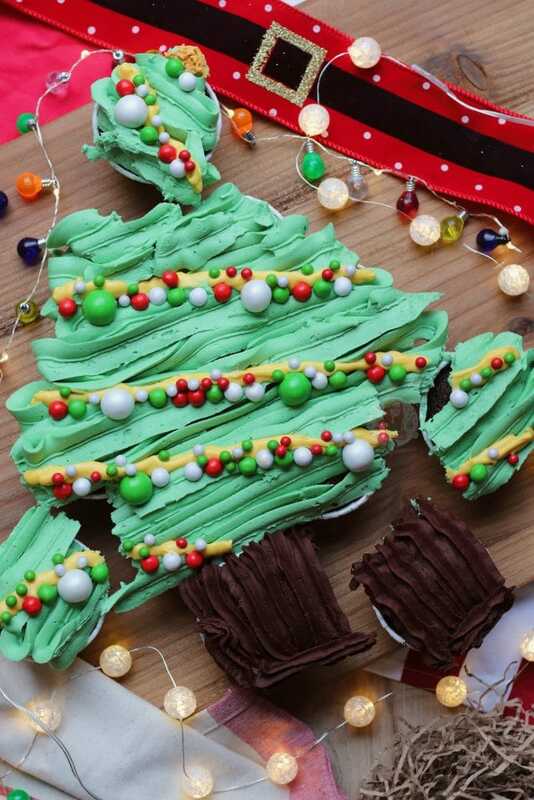 Tear and Share Christmas Tree Cupcakes! 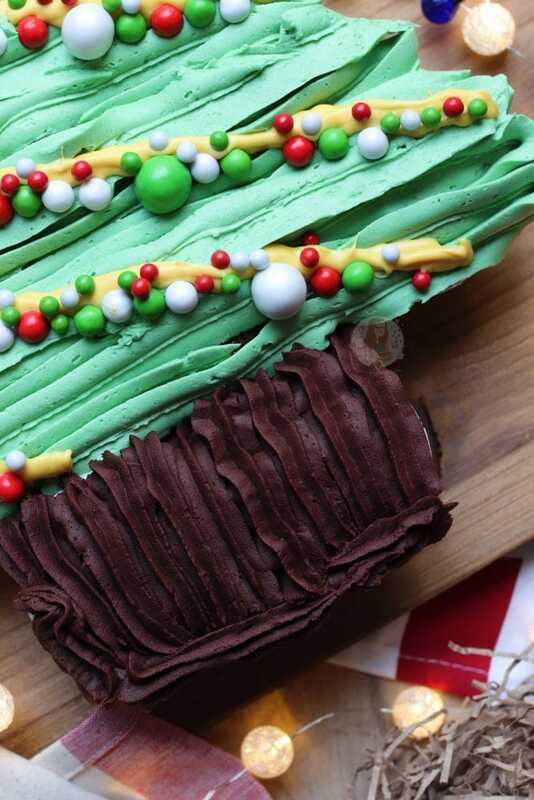 Chocolate & Vanilla Tear & Share Cupcakes in the shape of a Christmas Tree! Preheat your oven to 180C/160C Fan, and get your cupcake cases ready on a tray. Beat together your Butter and Sugar, and beat till light and fluffy. Add in the Flour, Cocoa Powder and Eggs and beat till smooth. Split evenly between your 12 cupcake cases, and bake in the oven between 17-20 minutes. Once baked, leave to cool fully. Make sure your Butter is at room temperature and beat it on its own for a couple of minutes to loosen it up. Add in the Icing Sugar and Vanilla and beat again till combined. Take out about 100g worth of Buttercream, and move to a separate bowl. Add in the Cocoa Powder, and beat into the 100g of Buttercream. 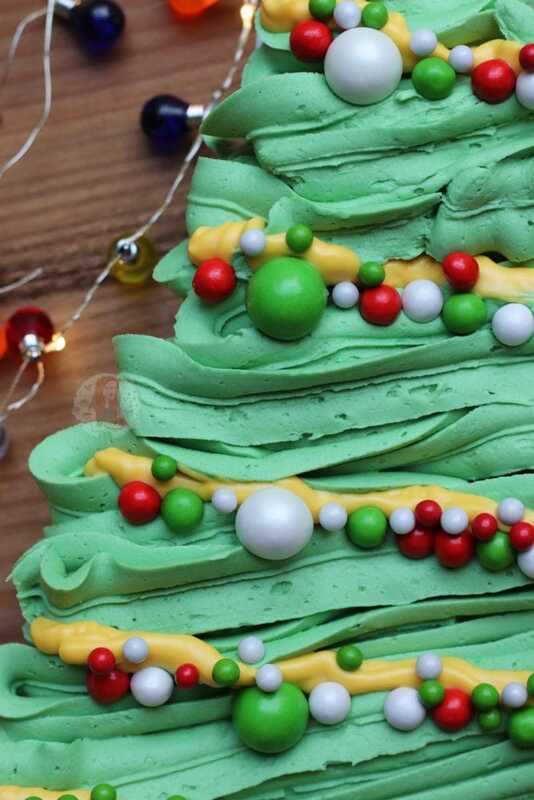 With the rest of the buttercream, beat in some good quality Green Food Colouring until you reach your desired green. Line your cupcakes up onto whatever plate/tray you want to serve them on. 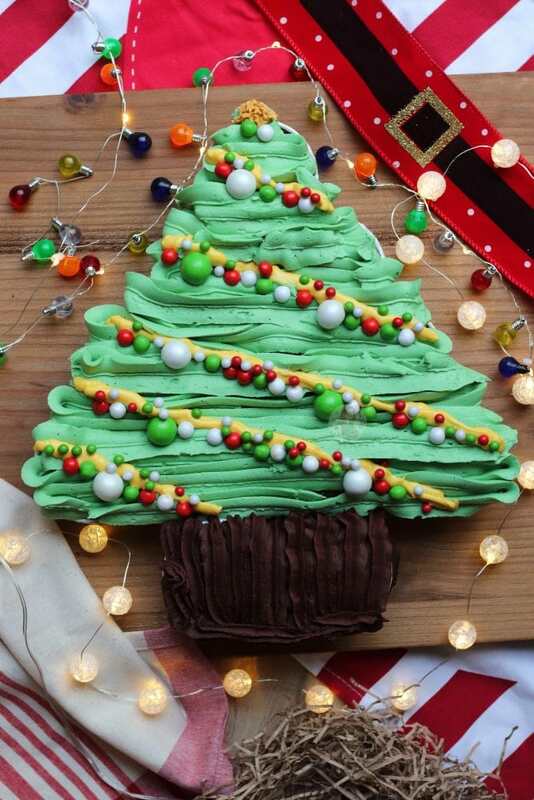 I do one, two, three, and then four cupcakes for the tree part, with two at the bottom for the trunk. 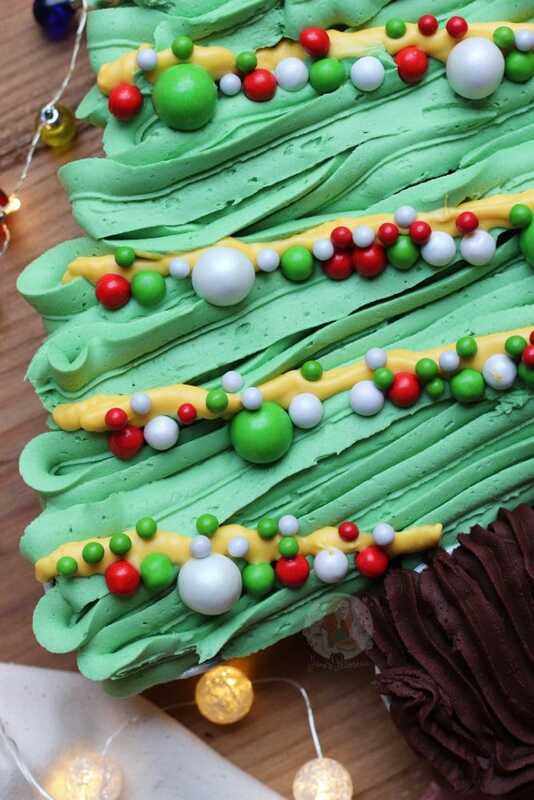 Slather/pipe on some of the Green Buttercream over the tree cupcakes. I usually use an angled spatula to get it on or pipe it on. Slater/pipe the chocolate buttercream on the trunk part. 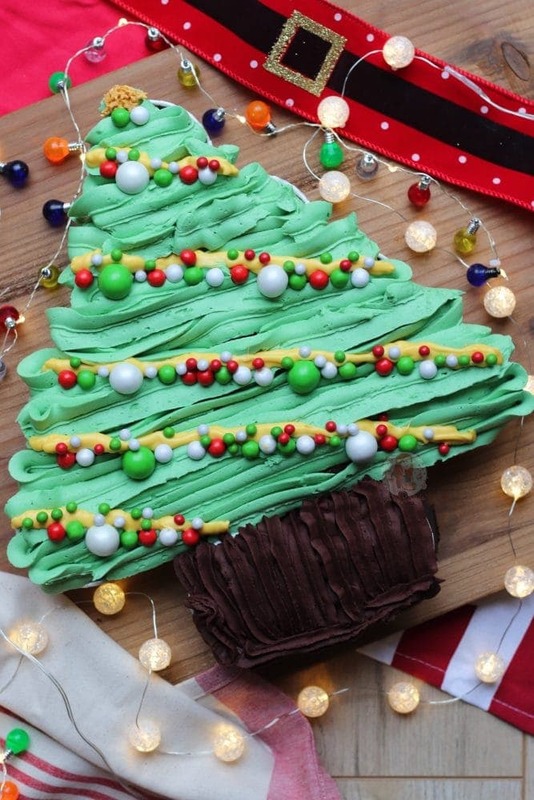 Decorate with sprinkles or anything you fancy to make it represent a Christmas Tree! I used these GORGEOUS cupcake cases from Iced Jems! I also used these beautiful Sprinkles from Iced Jems! 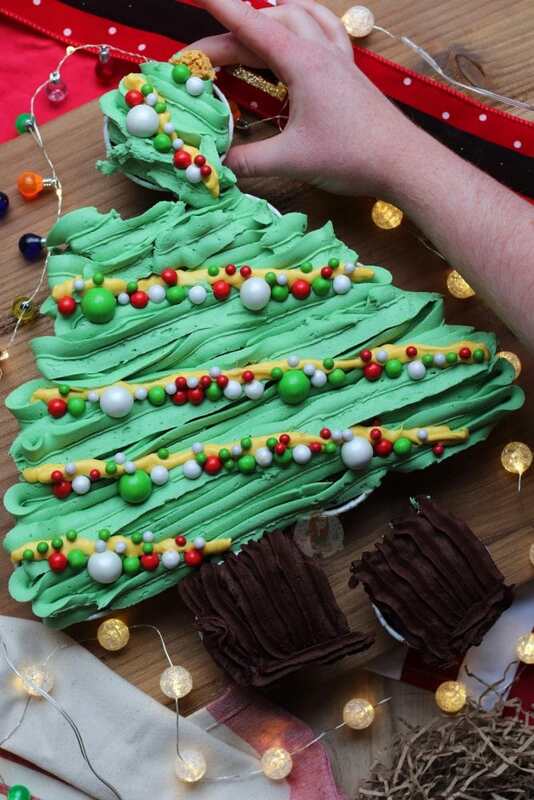 You can make smaller cupcakes to have a bigger tree, but be careful about transportation as once you connect them with the buttercream they're hard to move without ruining it! You can make the cupcakes vanilla by using 150g of self-raising flour, and no cocoa powder. These cupcakes will last for 3 days at room temperature! Newer Previous post: Gingerbread Drip Cake!